The Middle Tennessee Blue Raiders (26-15) traveled to Nashville on Tuesday night to take on the Belmont Bruins (21-12). 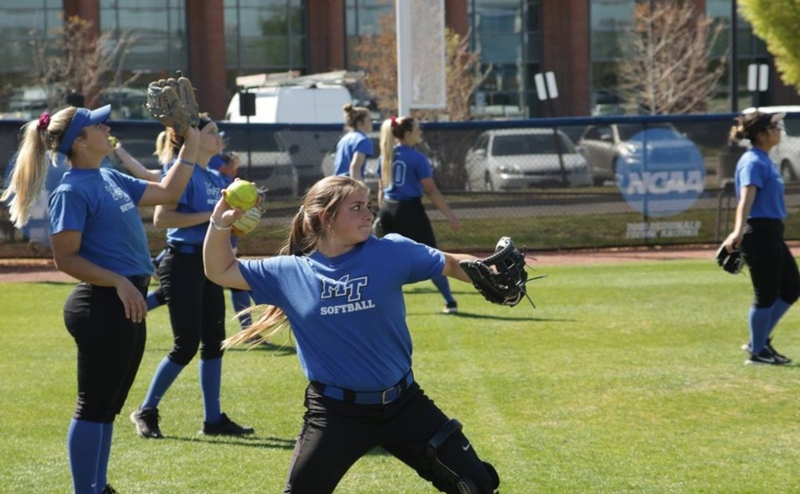 The Blue Raiders jumped out to an early lead and cruised to a 7-2 victory over the Bruins behind Claire Smith and Cori Jennings’ impressive performance. Middle Tennessee managed to to take a 1-0 lead and never let up. Smith gave her team an early spark with a single into right field and scored after an error made by Belmont on a ball hit by Kristin Uselton. Errors plagued the Bruins defensive effort and the Blue Raiders took advantage. Middle Tennessee scored a run in each inning of the game, excluding the first and seventh. 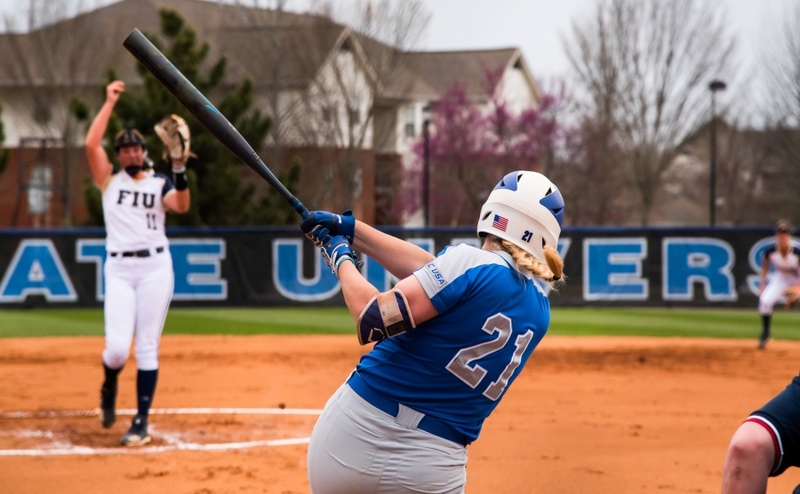 MTSU extended their lead after back-to-back errors advanced Precious Birdsong to third base after her single, setting up another scoring opportunity for Middle. Jocelynn De La Cruz hit a pitch to third base and was safe due to another Belmont error that sent Birdsong in to take a 2-0 lead. 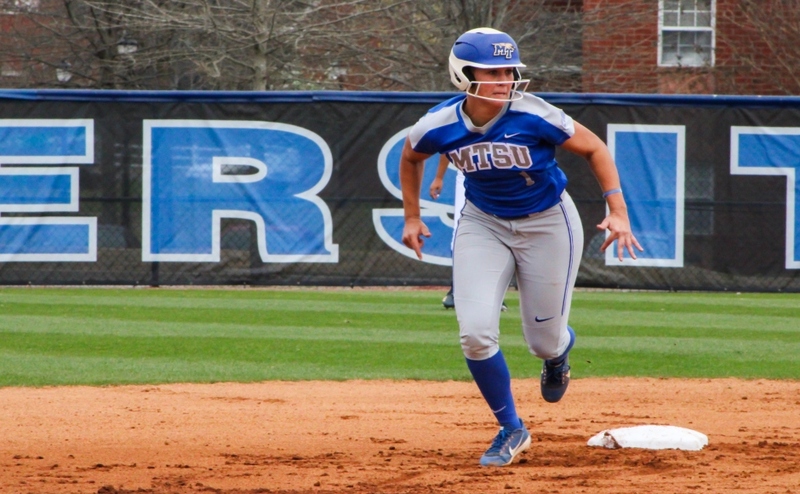 In the fifth inning, the Blue Raiders opened the door for a commanding 6-0 lead. After Smith and Lexi Cushing reached base, Uselton hit a shot down the third base line for a two-run double. Uselton was batted in by Kirstyn Cuccia, as she hit a double of her own over the heads of infielders. 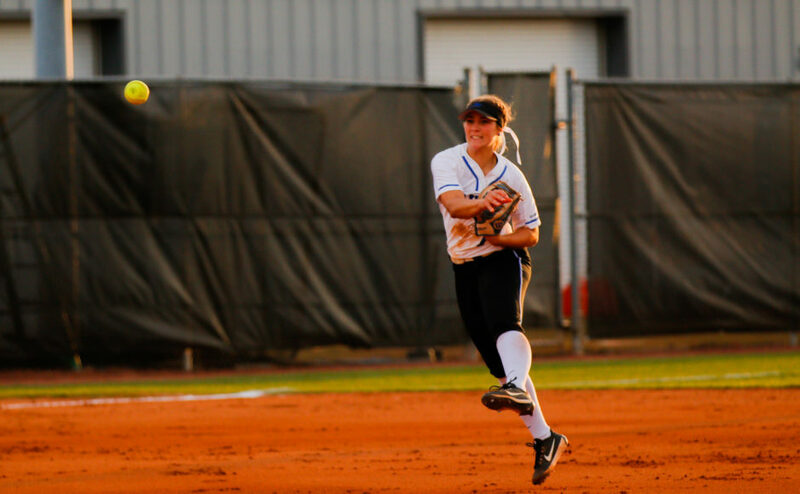 The Blue Raiders were solid on defense and did not allow a run until the final inning. The Bruins strung together two late runs, but it was too large of a deficit to overcome. Jennings only allowed two hits prior to the final inning and earned her 13th victory on the season. Smith lead the Blue Raiders at the plate and finished the game 3-3 with three runs scored. 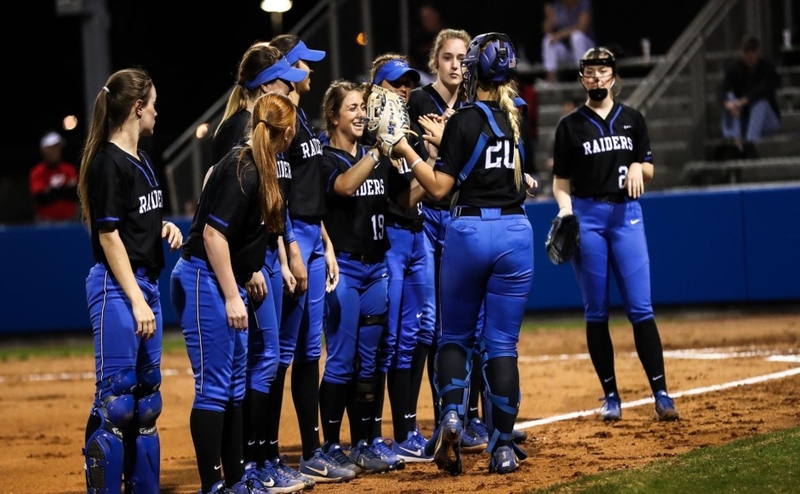 The Blue Raiders will look to bring home back-to-back victories when they travel to Clarksville take on the Austin Peay Governors next on Wednesday. The first pitch is set for 4 p.m.